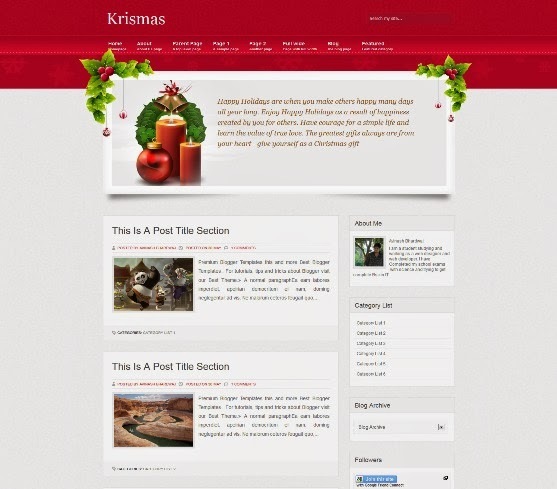 Krismas Blogger Template is another beautiful blogger template which is modified and converted by us from WordPress template. This is a Christmas template which is intent for Christmas. I have added all instructions in the download folder and you can ask me any help via comment, Facebook comment. 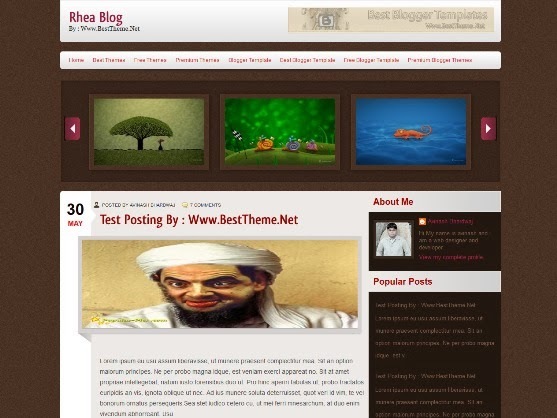 Rhea – Blogger Template is another beautiful blogger template which is modified and converted from WordPress template made by Web2feel.com Rhea Blogger Template is a dark blog template which have beautiful slider with lot of customizable feature,best suited for blog/site. Pinfinity – Personal, 2 column, Adapted from WordPress, Fluid width, Right Sidebar, Social Media Icon, Top Navigation Bar, White, Blue, Grey, Premium, Gallery and more. 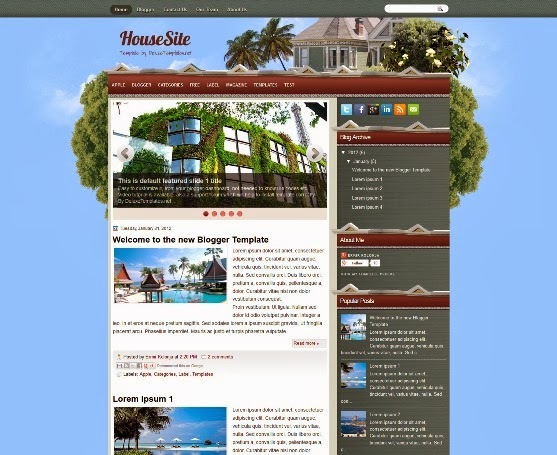 HouseSite is a free blog template with type : 2 column, 3 Columns footer, Adapted from WordPress, Brown, Elegant, Featured Section, Fixed width, Fresh, Grey, Right Sidebar, Slider, Social Media Icon and Top Navigation Bar. Yalene is a Blogger Template is another beautiful blogger template which is modified and converted from WordPress template made by Web2feel.com. Yalene Blogger Template is a dark blog template which have beautiful slider with lot of customizable feature,best suited for blog/site. 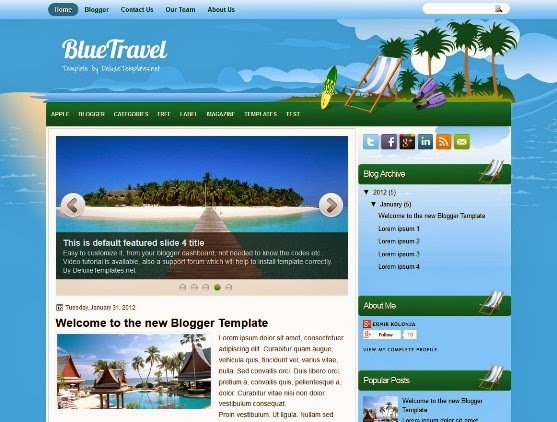 BlueTravel is a free blog template with type : 2 column, Adapted from WordPress, Featured Section, Fixed width, Right Sidebar, Slider, Social Media Icon, Top Navigation Bar and more. 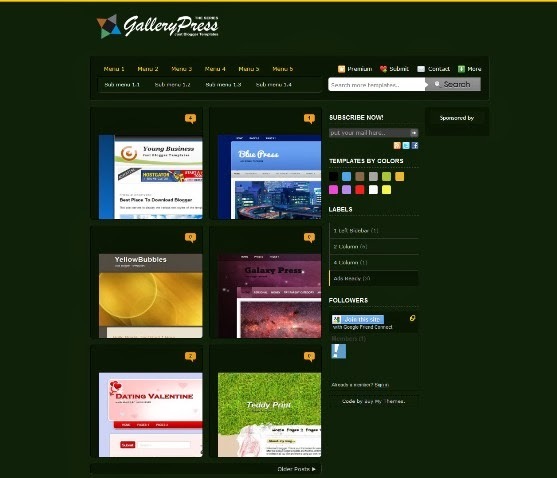 Green Gallery Press is the series themes and free premium blogger templates with 4 column, high position for get more click via advertising like adsense, buysellads and more. 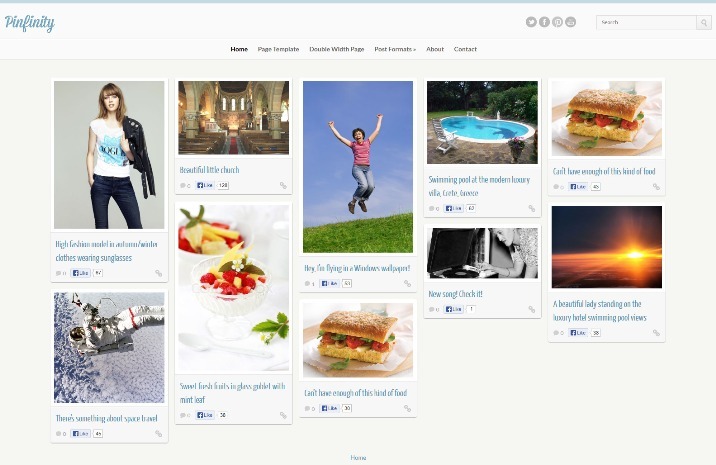 Iris Blogger Template is another beautiful blogger template which is modified and converted from WordPress template made by Web2feel.com. Iris Blogger Template is a blog template which have beautiful post title and post metadata with lot of customizable feature,best suited for blog/site.